Campervan or motorhome on the Milford - Te Anau Road. Upper Hollyford valley. 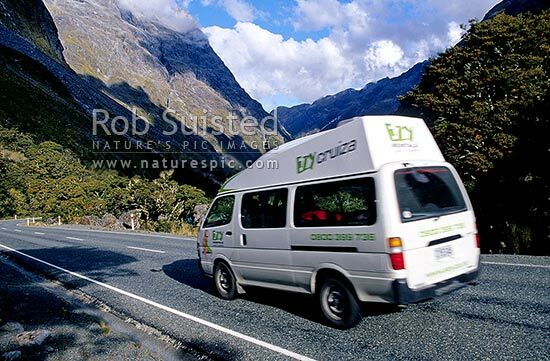 State Highway 94, Fiordland National Park, Southland District, Southland Region, New Zealand (NZ), stock photo.